While much of the sporting world’s attention has been on the FIFA World Cup, India and England start a very intriguing ODI series. Considering the turmoil in the teams of South Africa and Australia, these two teams are considered favorites for the 2019 ICC World Cup. They are the two top teams in the ICC ODI rankings, with England just edging India (though that may change based on the series result). England have evolved tremendously since the disaster that was their 2015 World Cup campaign, as the team has started to play modern attacking cricket (quite similar to their football team in Russia). Since crashing out to Bangladesh in 2015, England have won 12 out of the 17 bilateral ODI series they have been a part of. One of those losses came to India who have won nine consecutive bilateral ODI series. Despite their recent success, the Men in Blue do not have a settled lineup just yet. Captain Virat Kohli, MS Dhoni, Rohit Sharma, Shikhar Dhawan, Hardik Pandya and Bhubaneshwar Kumar have ensured (barring injury) their tickets back to England in 2018. However, the rest of the spots in the lineup remain open. Considering the strength of the opposition and the location of this series, several spots will likely be decided over the next two weeks. The No.4 position has historically been an issue for the Indian ODI side before World Cups. Greg Chappell infamously misused Sachin Tendulkar at that particular spot in the 2007 World Cup, one of many reasons for India’s ignominious group stage exit. Even in the victorious campaign of 2011, Virat Kohli only made the spot his own a few months before the World Cup. In 2015, MS Dhoni preferred Ajinkya Rahane at the spot who proved his value with a brilliant 79 against South Africa. 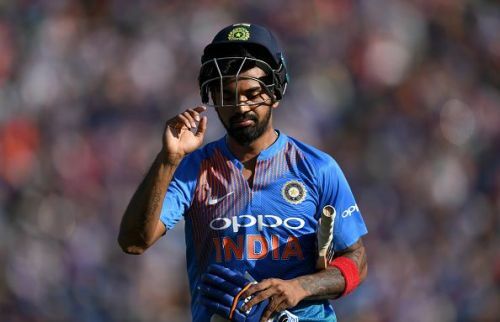 It seemed as if Rahane would continue at that spot when Kohli chose to play him at No.4 throughout the ODI series in South Africa earlier this year. However, Rahane has been dropped after his poor IPL performances with the Mumbai batsman’s low strike-rate being a particular concern. This has led to an open spot in India’s lineup for this series. On one hand, you have the in-form KL Rahul who was arguably the best Indian batsman in the IPL. Rahul has continued his form in England, scoring a brilliant century in the first T20 of this tour. The Karnataka batsman is also one of the few Indian batsmen who have the technique to handle English conditions and the power to demolish any attack. On the other hand, you have Shreyas Iyer whose potential is clear but struggled in a recent India A tour. Rahul will likely start at No.4 but if he struggles, Iyer will be waiting. Kuldeep Yadav - Can he be India's trump card at the World Cup?